Attached are the slides from the very successful Rural Crisis meeting at St George on February 1 2014. (Both files are the same with the “ppt” in the file name for earlier versions of Powerpoint). Further comments will follow but wanted to get the files up quickly, Mark. 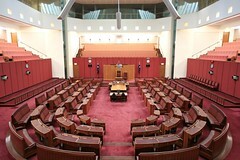 This is a link to the Bill introduced to the Senate on Dec 5 by Senator Nic Xenophon. Reference has been made to the Senate Economics Committee with submissions open until February 10. 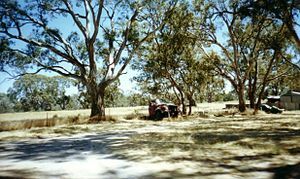 Passage of this Bill with its intent intact would see the formation of the Australian Reconstuction and Development Board with the ability to competently improve financial arrangements in Agriculture and related sectors. Australian Agriculture needs funding arrangements that recognise production, market and other realities. Funding needs to be tailored to real needs, as is discussed in this file. Rural Australia is facing a generational challenge due to unviable financial and market conditions. Even highly efficient and productive enterprises will struggle while those affected by adverse conditions require stabilisation. Many steps will need to be taken if prosperity is to return to rural Australia. A key step is sensible recapitalisation – as discussed in this post of some initial research findings. Comments outline the challenges. Australian Agriculture is operating on an unsustainable basis. Current debt stresses are the logical outcome of decades of unbalanced markets, inappropriate finance, untoward practices and inept policies. We all need new ways forward. Major problems are evident. From the Wheat fields of Western Australia and Dairy farms of Southern Australia across many Agricultural lands between to the Beef properties of Northern Australia the rural condition is needlessly poor. Such things are a logical outcome of current policies – public, commercial and private. It is not just a drought or flood here, a retailer there or foolish public policy over there. Rural Australia faces a systemic failure. The foundations of its prosperity and national contribution have been whiteanted by ill-conceived thinking, imprudent investments and cavalier organisations. A new agenda is needed, one built upon sustainable profitability broadly applied. As argued, this will be critical in repositioning rural Australia so that it has a decent future and makes a renewed contribution to national prosperity. The flawed thinking underlying imprudent investments now evident as individual, sectoral and systemic failures needs to be accepted. Ill-informed, we all made mistakes. We need to accept this and to develop mutually acceptable ways forward. Problems are unevenly spread but the threat of contagion means that sensible industry and regional stabilisation is a priority. With due care and insight pending crises can be defused with effective repositioning efficiently achieved. Australia stands exposed to deteriorating global conditions so action is needed now, while the window of opportunity remains open for Agriculture and the Nation.